Whether you’re hemming, pleating, ruching, or simply basting, you can save countless hours by investing in a high-quality sewing machine that will take the “work” out of “needlework.” As someone who has been sewing for years, having a top-notch machine can make a world of a difference. 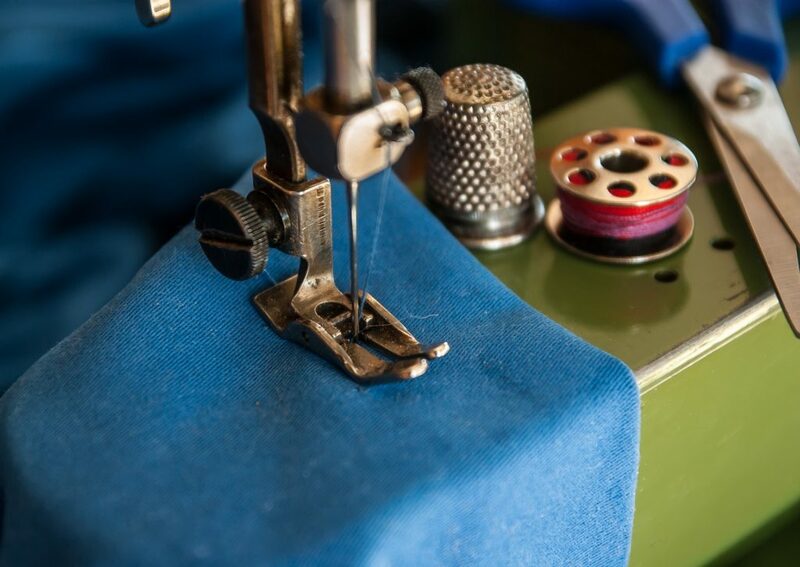 Sewing machines not only allow you to accomplish twice the tasks in half the time, they also provide a way for more precise stitching, stronger seams, and higher quality work than hand sewing can provide. While sewing may seem difficult at face value, by investing in the best sewing machine, you will soon find the machine will do most of the more difficult parts of sewing for you. The Brother Sewing and Quilting Machine, CS6000i is one of the highest rated sewing machines on the market. 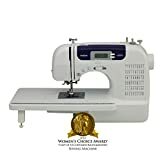 This machine won the Women’s Choice Award in 2018 as the best sewing machine. It still remains one of the most highly recommended machines available today. This is not just because of the brand name, but also its reliability, features, and high-quality work. Let’s look at the details. Sewing machines have come a long way from the completely manual machines of the older generations. Now, computers and digital screens help control the machines in order to receive a more precise outcome. This Brother Sewing and Quilting Machine CS6000i sewing machine is very easy for both the most advanced sewer or the basic beginner. This universality is one of the reasons why its ranked the best. There are three-speed options to choose from on the machine. A simple speed selector on the front of the machine can easily be changed between the three-speed options. 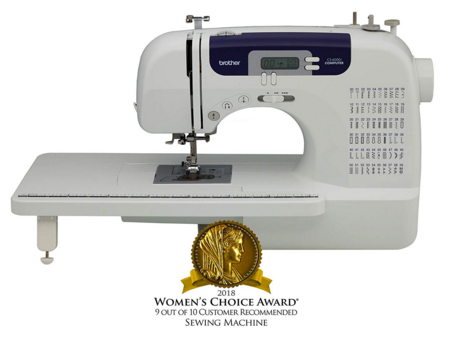 The best sewing machine winner can be started or stopped with a simple click of a button. There is no need to worry about learning all the intricate details of a sewing machine. This machine has a large digital screen and automatic system that will help guide you through all the steps. It also has an automatic needle threader so you don’t have to worry about wrestling with a tiny needle hole and fraying thread. When there is any sort of error, the LCD screen informs you so you know exactly what needs to be adjusted. There are a whopping 60 different stitches to choose from on this machine. The stitches can easily be selected on the LCD screen which will show what is being stitched. The stitches range from a basic basting stitch to a more intricate design for decorative stitching. The Brother Sewing and Quilting Machine, CS6000i offers many extra features that can be used for all types of sewing projects. There is a very large table that can be used for quilts or other larger items that would require the extra space. This machine also has a built-in free arm which will allow your fabric extra room to be maneuvered when sewing. This is especially helpful when sewing curved pieces of fabric which will require movement beyond just a straight stitch. Sewing buttons on clothes is a breeze with this machine. It has seven styles of buttonholes to choose from -all with a one-step auto-sizing. The button holder will hold the button in place while the needle does all the work to reattach those pesky buttons. The start and stop feature is not the only feature that is automated. You also have a button that can turn the needle in reverse, which is especially useful for sewing off an end. While there are many automatic parts to the machine, there are also diagrams for parts that may need help, such as adding thread. Any sewer can have all the information for working the machine right at their fingertips. The machine is great to take with you wherever you may go. It comes with a hard carry case for storing or travel that will protect it. It also comes with instruction manuals in both English and Spanish as well as an instructional CD to help get you started. Sometimes the greatest features of a machine can also be its main downfall. This seems to be the case with this sewing machine. While all the computer workings and automated systems make life simpler, they can also do the exact opposite when not working properly. If this machine is taken care of, it will run smoothly. You will enjoy the automatic needle threader and the error messages warning you of issues before the issues progress too far. Just be sure to use high-quality thread and Brother bobbins in order to cut down on issues. The machine can be sensitive and cheaper thread can cause the machine to throw errors when there are none. It can also cause the machine to tangle the thread easier. The good news is there are many shops that will repair any damage to the machine. There is also a limited 25-year warranty to guarantee that your machine will work throughout its life. When you do run into issues, free customer technical support is available to talk you through ways of fixing the issue to get your machine up and running again. If options are what you want, than the SINGER 7258 Computerized Sewing Machine may be your ideal sewing machine. This machine is all about giving the most options when it comes to sewing the perfect garment. The company has been around since 1851, creating sewing machines for over a hundred years. They have remained as one of the best sewing machine for generations. Just like with the Brother sewing machine, this SINGER 7258 Computerized Sewing Machine also offers many automated features that make sewing much easier so even a beginner can work the machine. All the information needed for sewing will be displayed on an LCD screen. You can choose from multiple speed settings by moving the speed bar on the front of the machine. The highest speed stitches up to 750 stitches in a minute allowing for large projects to be completed in a timely manner. A start/stop button will easily control the needle. The SINGER 7258 Computerized Sewing Machine also offers an automatic needle threader. It will help keep your needle threaded and avoid you having to use your eyes to line up the hole with a thin piece of thread. This will save you time and effort. One of the best features of the SINGER 7258 Computerized Sewing Machine is that it has 100 built-in stitches to choose from. These stitches can be chosen through a simple click of a button using the LCD screen. This includes nine basic styles, eight stretch styles, seventy-six decorative styles, and seven buttonhole styles. You can use these styles for basic sewing or complex embroidery. A large number of stitches are not the only feature that this best sewing machine offers. SINGER 7258 Computerized Sewing Machine is very easy to load up. It has an easy-to-load top where you can drop the bobbin in the system. The top is clear so that the bobbin can be seen if any issues arise. The top bobbin has a winder stop so that when you are filling the bobbin it will stop automatically before it is overfilled with thread. The needle can be programmed to either stop up or down. Having the needle that ends up is great for when you end rows so that you can remove the fabric. The Down setting is good for cloth where at the end of the row you just switch directions. This machine comes with three different feet. The first is the all-purpose foot that works for most types of projects. The second type of foot is a zipper foot. Finally, the third type of foot is the buttonhole foot that helps hold down buttons and ribbons while sewing them onto outfits. This sewing machine is great for many starter projects and has quite a large number of styling features. The machine itself is not a heavy duty sewing machine so those who do quite a few heavier sewing projects may find that it does not quite stand up to some of the more intense work. Just as with the Brother machine, the SINGER 7258 Computerized Sewing Machine also has quite a few computerized and automated parts which can lead to more mechanical failures. But there is a 25-year warranty for any mechanical failures that occur. For those who are willing to compromise on the stitching offers but would rather have a longer-lasting heavy duty sewing machine, SINGER also offers their SINGER Heavy Duty 4423 Sewing Machine. This best sewing machine honorable mention will last longer than many other sewing machines due to its stronger mechanisms and body. 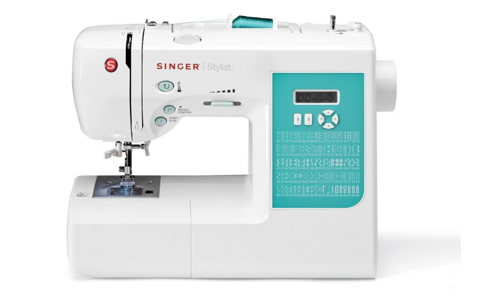 The SINGER Heavy Duty 4423 Sewing Machine takes things back to the basics. There are no fancy bells and whistles with this machine. It is made similarly to how many SINGERS were made in the past. Because it does cut down on the automation and computerization, there are less inner workings to fail on the machine, which is why it tends to last longer. Instead, stitches and settings are chosen through the traditional turn wheels. There are twenty-three built-in stitches. These include basic stitches, stretch stitches, buttonhole stitches, and twelve decorative stitches. The machine has heavy-duty mechanics that can withstand larger projects. Its motor can handle up to 1,100 stitches a minute and has a 60% stronger power for piercing all types of heavy fabrics. The frame is made out of heavy-duty metal which helps the machine last longer than most of the other machines that are made out of a plastic frame. Even with many of the traditional workings, there are still a few features it has that are more updated. The main updated feature is its automatic needle threader. This will help save time and effort by keeping your needle threaded without the extra hassle of working the thread in yourself. 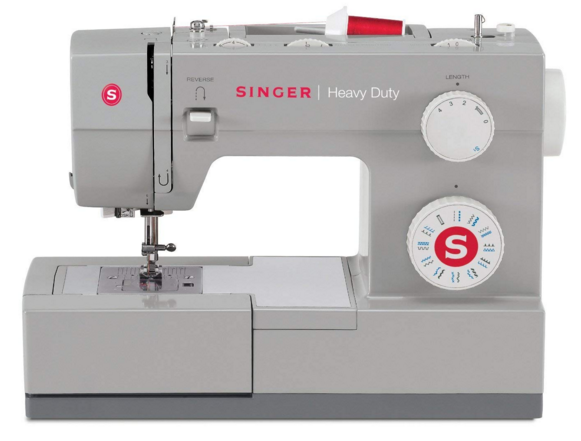 This SINGER Heavy Duty 4423 Sewing Machine offers many similar options as its lighter counterpart, except without the computerization and extra stitching. There are four feet that come with the machine. The main foot is an all-purpose foot. There are also a zipper foot and a buttonhole foot as well as a button sewing foot. The machine also offers the top drop-in bobbin that has the clear case. This will allow you to monitor the health of the bobbin and catch any knots or issues before the thread gets too tangled. You can also monitor how empty the bobbin is. The machine comes with a seam ripper, lint brush, quilting guide, needles, bobbins, screwdriver, auxiliary spool pin, spool pin felt, and a soft-sided dust cover to protect your machine from dust that could land in the nooks and crannies of your machine. This machine is not computerized or as automated as the other two options. As a result, this machine is not the easiest for a beginner to use. That being said, it will most likely last longer than a fully automated, computerized sewing machine because it uses many heavy-duty traditional parts. Because of the heavy metal casing and the heavy-duty parts, this machine is quite a bit heavier than other machines. It is best for those who will keep it stationary in their home. Sewing machines can be used for many different projects. Practically anything made from fabric can be created using a sewing machine. Even some non-fabrics can be made with a sewing machine, depending on the type of machine being used. Many people use machines to sew clothing. Sewing your own clothing helps you achieve the perfect sizing and look. Sewing your own clothing can also save on money as a good dress can easily cost around a hundred dollars whereas the same amount of fabric to sew it yourself can cost a fraction of the amount. You may not be an expert in sewing or not know one end of a pattern from the other, but that doesn’t mean you can’t find a use for a sewing machine. Knowing how to perform simple repairs can prolong the life of your clothes. First, you can use the sewing machine to reattach buttons or zippers that come unattached. 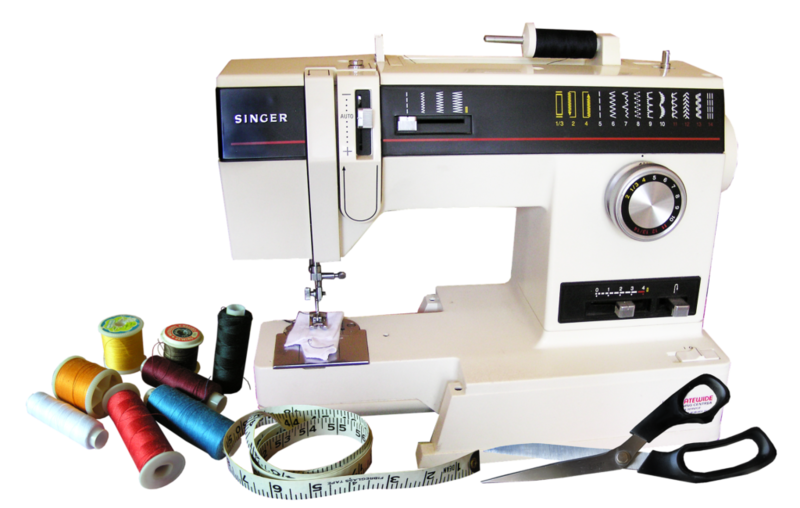 You can also use the sewing machine for alterations such as hemming long pants, widening armholes, or taking in waistlines. Lastly, you can use a sewing machine for small repairs such as holes in the knees of your child’s jeans, or a rip under the arm of your husband’s favorite t-shirt. Crafting can include any home decorative item. There are a surprisingly large number of items in your home that can be made with a sewing machine. There are two main advantages to making your home décor yourself. First, it saves money. Secondly, you can customize the item however you would like. By sewing the item yourself, you are saving the cost of purchasing the same item from the store. A bedding set can cost hundreds of dollars from a store, whereas the same thing can be made for a fraction of the cost at home. The same goes for throw pillows, blankets, kitchen mitts, and many other fabric household items. You can also customize each of those items. By sewing the item yourself, you can be sure they are all made from the same material. Your curtains in your living room can be the same color as the throw pillows on your couch. You can create wall décor with beautiful embroidery that matches the blankets on your bed, each of which matches perfectly with the theme of the room that is unique to your home. Most sewing machines come with many of the basic requirements to run. That being said, there are a few items you will want to make sure you have yourself. To operate a sewing machine properly, you will want a good workspace. Most sewing machines will consist of the machine and a floor pedal. Since projects can take a while, you will want to set the machine on a sturdy desk. Many machines have a strong motor that may shake the desk, so light foldout tables may not always be able to properly support the sewing machine. Having a good chair with the proper support will allow you to work on projects longer without your arms cramping from being bent at an awkward angle, or your back aching. Another way to avoid a backache is by taking frequent breaks between projects. A couple of stretches can go a long way to helping to keep away sore muscles. You can even set up a small space near your table with a yoga mat for mid-project stretching. Mary Silva recommends some of the best yoga mats that could work for your specific needs. Be sure you have access underneath the table to the pedal. You will want to make sure the pedal also has a way for its cord to wrap up and around the desk to the sewing machine. Lighting is very important when sewing. Without the proper lighting, it will be hard to see your stitching or how to properly set the machine. Many sewing machines have built-in lights that will shine on the actual stitching but you should still invest in extra lighting for your area. A good overhead light or a work lamp by the desk are good ideas. This is not a requirement so much as a strong suggestion but storage space nearby will save you a lot of trouble. While sewing, there may be times a quick switch is necessary. Some examples would be if a bead needs to be added to a pattern, or a bobbin runs out of thread mid-project. Having all your accessories, pins, thread and other items in a drawer at arm’s length, you can reach for them without ever having to let go of your project. Lastly, be sure to place your sewing desk near a socket. Sewing machines need to be plugged in so that they can work. A socket will also provide a place to plug in a work lamp or have your computer plugged in if you are following online instructions. Using an extension cord runs the risk of someone tripping over the cord. A heavy sewing machine with many fragile parts would not last very well if pulled off the desk. This can be avoided by keeping the machine plugged in close to the desk. Before taking to the machine, you will need to prepare your project. This will require some items. First, you will need some sort of pattern. Many people purchase a pattern that will have pieces you cut and pin to the fabric. Other people can make their own patterns through careful measurements. A floor mat would be very helpful for cutting, measuring, and pinning patterns to fabric. A sewing floor mat will have many measurements drawn on the mat to help with getting a more precise sizing. There are also guides to help cut a straight line. When it comes to cutting the fabric, you will want to make sure you have special fabric scissors as regular scissors may not be strong enough for fabric. Plus, normal scissors can cause the fabric to be cut crooked or to fray. You will also want straight pins. These are small pins with a bobble top that are stuck through the fabric to hold it in place until it is stitched together. Many more advanced sewers use pattern weights instead of pins (pins can cause the fabric to bend and ripple, causing a slight change in accuracy). A pattern weight is more difficult to use, which is why most beginners will still use pins. If you do use pins, just be sure to remove them before going over the area with the sewing machine as hitting a pin can cause your sewing machine needle to break. Those are the basic tools needed for getting started. Additional tools will be needed for those who are more serious about sewing. These can include a special fabric marker, rotary cutter, measuring tape, and other items that help with a more precise measuring and cutting process. Now comes the actual sewing process. The machine has a needle and at least a starter bobbin. 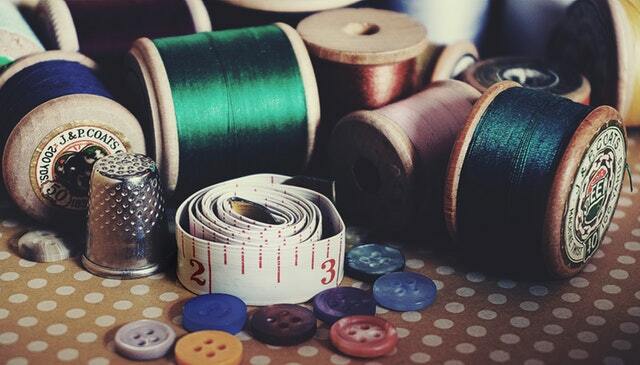 What you will need to most likely buy yourself is some good quality thread. The cheaper thread is more likely to break both during the sewing process and while holding the item together after the project is complete. Cheater thread is also more likely to tangle up in the machine. Replacement bobbins can be purchased. Note that it is always best to use the same brand as the machine you have. This is especially true of automated machines. The wrong size bobbin can mess up the automatic features such as the automatic bobbin winding. While the machine has many of the essential parts required for sewing, you should never fully rely on the machine. You will want to have some items yourself as well. First, you will want an old-fashioned needle and thread. 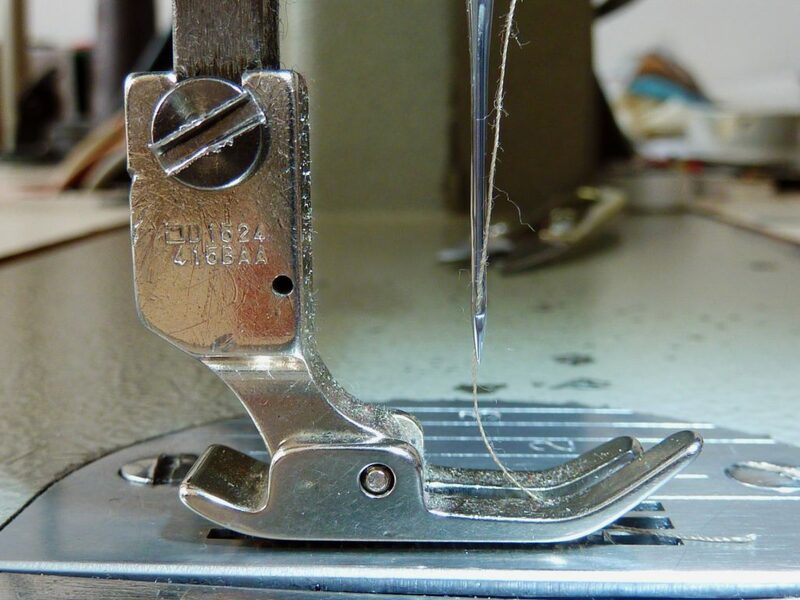 There are some things that a sewing machine just can’t get to and you may need to perform a few stitches yourself for the best accuracy. You will also want your own thread cutter. The machine will often times have a thread cutter on it, but this, again, is not always reliable. You will want to make sure you have a way of releasing your fabric from the machine. Lastly, you will want a cover or a case. Dust that accumulates inside your machine can cause your machine to malfunction over time. A case keeps your machine cleaner and longer lasting. You will still want to make sure you clean your machine often by following its cleaning manual to get the longest life from your machine and to avoid voiding the warranty. Each sewing machine will come with many attachments. Some will even come with some of the items listed above such as thread cutters and measuring tape. Before starting a project, look over your requirements. See which items you still need to purchase beforehand as you do not want to be stopping in the middle of a project. Your machine can also have additional attachments. You can purchase different feet, needles, or thread. Do not feel that you are limited to the stock accessories. Check with your machine before purchasing to see what additional attachments are available so you know how flexible the machine will be. You may want to look into what you will need after finishing your project. If you are sewing an article of clothing, find a hanger that you can hand the clothing on to avoid wrinkles. You may also want to purchase a lint roller to catch any extra loose threads that are left behind on your projects. Q: What type of thread or attachments do I need for my sewing machine? Most sewing machines will come with enough basic attachments to get you started with sewing. As you learn more about sewing and learn what specifically you will want to sew, such as quilts or leather, you can then purchase those additional attachments later. As for thread, using a high quality thread will work with most sewing machines. You do not need to purchase thread that is specifically made by the manufacturer of the sewing machine. You can use whatever thread works best for your project, whether that is cotton, polyester or another material. Just be sure that whatever material you use for one thread, use it for all other bobbins. The colors do not need to be the same, but it is best to keep the materials the same. Q: What types of fabrics are safe to use with a sewing machine? This depends entirely on your machine. Most machines can handle the basic cotton material for sewing clothing or light blankets. Light fabrics, such as chiffon, are very difficult to sew and tend to get eaten by the machine. Double check your machine for the specific settings needed for those lighter fabrics before attempting to sew them. Heavy materials such as leather should not be sewn on a regular sewing machine unless the specific machine states that it can be sewn. It will need a special needle and special strength in order to not ruin the mechanics of your machine. Q: How often should I replace my needle? The needle on your sewing machine can either make or break your project. You will want to make sure your needle is always in top shape or else your sewing project will suffer. There is no official magical number as to when to replace your needle. Some will not change the needle until it breaks and no longer works, others will change it after each quilt they sew. There are some tell-tale signs of a needle that needs to be replaced. First, you can eyeball the needle. Check for rough edges or chinks. Rough edges can weaken the thread as it passes along the needle, causing it to fray and break easily. Rough edges can also catch on the fabric. A dulling needle may also start skipping stitches. Check your stitches regularly to make sure it remains crisp and precise. Puckering fabric and fraying thread are also signs that it is time for your needle to go. This entry was posted in In Depth Product Reviews and tagged sewing machine. Bookmark the permalink.